China routinely protests visits by Indian leaders to Arunachal Pradesh and reiterates its claims over the state. China today voiced its “firm opposition” to the visit of Prime Minister Narendra Modi to Arunachal Pradesh which it claims as part of South Tibet and said it would lodge a diplomatic protest with India. 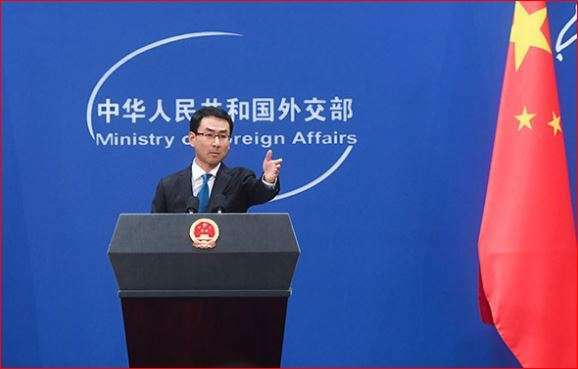 “China’s position on the China-India boundary question is consistent and clear-cut,” said Chinese foreign ministry spokesperson Geng Shuang in response to reports that Modi visited Arunachal Pradesh today. “The Chinese government has never recognised the so-called Arunachal Pradesh and is firmly opposed to the Indian leader’s visit to the disputed area,” Geng was quoted as saying by state-run Xinhua news agency. “We will lodge stern representations with the Indian side,” he said. “The Chinese side urges the Indian side to honour its commitment and abide by the relevant consensus, and refrain from taking any action that may complicate the boundary question,” Geng said. “(These three areas) located between the illegal ‘McMahon Line’ and the traditional customary boundary between China and India, have always been Chinese territory,” he said in the Xinhua report, adding that the ‘McMahon Line’ drawn by Britain in 1914 was an attempt to incorporate the areas into Indian territory.